Need Help Picking the Perfect Paint Color? For Lamorinda residents looking for a way to freshen up their homes, there's no project that gives you more bang for the buck than painting. A fresh new color on the walls can make everything else in the room look better. 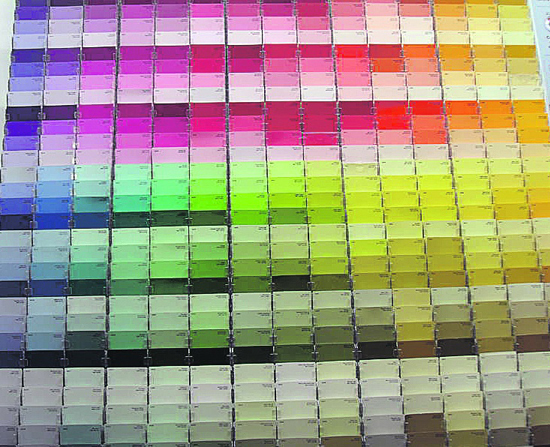 The problem for most do-it-yourself-ers gazing at a rainbow of color choices at a paint store is - which one? A reasonably energetic person can get started in the morning and paint a room in one day. 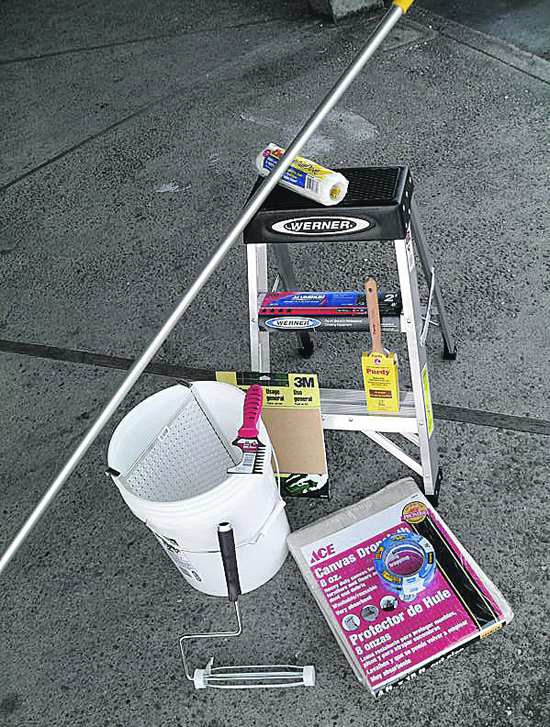 With a gallon of paint costing anywhere from $23 to $35, it's an affordable project that even a middle aged weekend warrior can tackle. Picking just the right color to make a room come together is definitely more of an art than a science. Who hasn't been disappointed that a bedroom that was supposed to be transformed into an oasis of calm actually looked like the inside of an avocado, or a daughter's room that was supposed to convey the feeling of floating in a cotton candy cloud ended up an explosion of Pepto Bismol? Help is on the way. Three Lamorinda color professionals not only live here, but have the tools to offer constructive advice on selecting just the right hue to make your home look fabulous. Mari Tischenko and her business partner Jana Rains of Colours, etc. and Leslie Kalish of LMK Interiors Color Therapy and Remodel Intervention guide clients through the color selection process every day. "Color is such a funny thing - it can be really difficult for people," says self-described color maven Leslie Kalish. "We didn't know what a unique treasure we had in this house until Leslie applied her color, and worked her magic. Our home was transformed!" says Karen Lynch. She and husband Dan worked with Kalish on their hundred-year old Lafayette farmhouse. It was one of the original five farm houses in Lafayette, and has been fully remodeled over the last eleven years. She recommends taking a holistic approach, "If you are adding color to a room that's already finished or putting together a room that is being remodeled, you really want the color to "unify" the elements of the room that are going to be fixed in place - furnishings, flooring, built in cabinetry, fireplace rock and so on. These materials are the place to look for color and to focus on what families of color will enhance and complement your room. 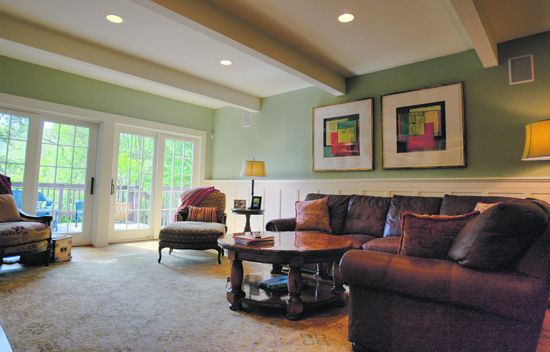 Your paint color needs to "play well with others," unify the elements and close the circle you started with your other selections." "Everything has color," she adds, "The paint color you ultimately put on the wall will never be alone, but rather with all the items and materials that are already part of the room." For Kalish, picking the right color is fairly straightforward. Step 1. Choose a family of colors you like based on your "library of materials." Paint a brush out board - look at that color in the light of the room, move it around the area and check it at different times of the day. "You cannot choose a color from those little chips. They're a good tool to help you narrow down your choices," said Kalish. "Once you find a few shades you like - buy a little sample color and apply to a brush out board that's about the size of a piece of paper." Another good option is purchasing a $6, roughly 2-foot square, poster from Yolo Colorhouse, available at Kelly Moore. It's covered in real paint and has repositionable tape on the back, so it can be observed all around the space. Remember that sheen will highlight texture and imperfections on your wall. 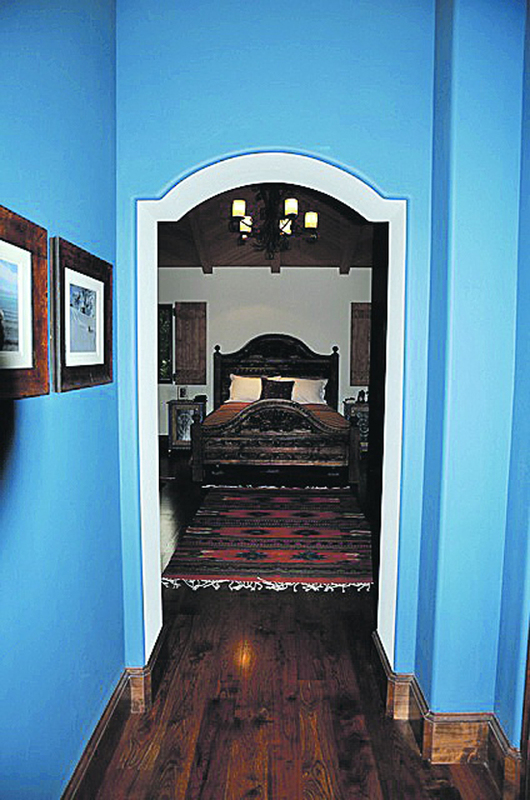 Matte paint is a perfect solution for walls in all rooms except bathrooms that need eggshell or satin. 2. Select a few colors from that family that complement and enhance your materials. 3. Always go for the lowest sheen appropriate for an area, except of course woodwork such as moldings and doors. They look best in a semi-gloss. "Paint is part of the composition, but not the entire composition," explains Mari Tischenko of Colours Etc. Because a room is a blank slate after painting, she suggests using this opportunity to start all over again, putting one thing back at a time to avoid clutter. The first task Tischenko recommends in selecting a paint color is to consider the "givens" of your home, like the style of the house - whether it's a hacienda, ranch, craftsman, as well as the flooring and countertops. Next, check out the lighting in the space. Following that, consider the function of the room - will it be an animated space, where a more energetic color would work or perhaps for an office or a bedroom, that would be a better match for calm, restful colors. She advises homeowners to take control of all your rooms, "Every space can be made functional and attractive." Hallways can become a gallery of family photos connected in some way with similar matting or frames. Even a laundry room can have some framed artwork and be painted a usual color to highlight the white of the appliances. Jana Rains just loves the intensity of what she describes as a Mexican color palette, for its vividness and saturation. Her husband however was not initially sold on the concept for their hacienda style home. They negotiated a deal that had the public spaces of their home a soft white, but Jana got all the other rooms. Although skeptical at first, husband Darryl said he would give it a year and now he likes it. For more information contact Leslie Kalish at www.LMKinteriors.com; to reach Mari Tischenko or Jana Rains of Colours etc., call (925) 253-9744. Orinda painting contractor Brad Catron knows his business. His best advice for the novice painter is to be very patient. Painting is the easy part, it's the set up and clean up that takes the most time. - Use good quality paint that is durable and scrub-able, preferably in a matte finish for walls. - Ceilings - use a "1/4 formula" - full strength color on the walls and ask your paint technician to mix one part wall color + three parts white for the ceiling. Caution - this doesn't work well with red. - Don't be afraid of dark colors. Dark can seem a lot softer - it can give a powder room a sophisticated feel. - He prefers historical colors as a reliable "go to" palette. - When using a professional painter, be sure to check his/her contractor's license and insurance and try to hire someone local to support the community. Reach painter Brad Catron at (510) 772-2159. Subscribe: My home/business is in Lamorinda and I would like to receive the Lamorinda Weekly FREE of charge.